AddressThe address for this sale in Allendale, MI 49401 will be available after 9:00am on Thursday, May 2nd, 2019. Cash/Credit Cards, local checks with ID. We do not charge any additional fees for credit/debit cards. we are not responsible for accident or injury. Everything is sold as is, please inspect items carefully before purchasing. No refunds. Please bring help to carry large items. We will do our best to assist , but it is not always possible. All items must be removed the day of purchase unless other arrangements have been made. No prior sales. Sign up sheet out Friday 8 a.m.
Just in time for Mothers Day ! This estate offers timeless treasures, pristine furniture and accent pieces from former interior designer. 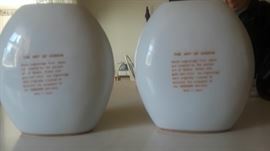 collectibles, vintage lamps & dishes, Windsor Style/Country Home dining table. Lions Club Memoribilia, Kling Bedroom Set, Books, records, Ladies clothing size lg, xl & 16. Size 7 shoe. 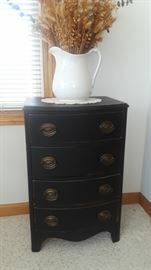 Nice Clean Estate, Many decor elements to shop/ browse and freshen up any space for Spring. 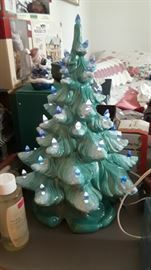 Vintage Ceramic Christmas Tree, this is a beautiful find, love the choice of colors ! 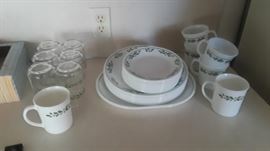 Christmas Corelle "Winter Holly" 1980's. 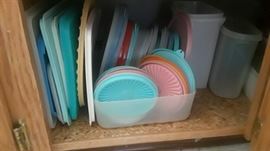 2 sets of Corningware Christmas coffee cups. 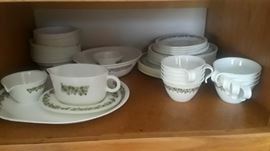 Green & White Corelle "Spring Blossom". Large set, some pieces not pictured. The Art Of Chokin, Japan. 24 kt Gold Filigree Vases. 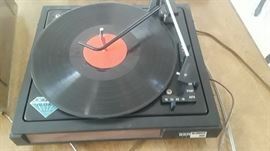 BSR Turntable, McDonald 4800, circa 1978. Windsor style dining set, country farmhouse style, table and 6 chairs. 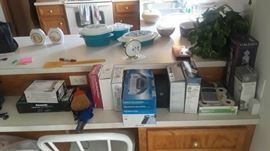 Various household items, small appliances. Various vintage lamps & side tables. G Armani, Gullivers World, Italy. Queen Anne Style Arm Chair. Retro Drop Leaf Side Table. Several lamp sets to choose from. J. Misa handcrafted porcelean doll. Appx 36". Sewing machine with hidden bench. Kenmore Sewing Machine, Rotary series 58. Hidden chair. 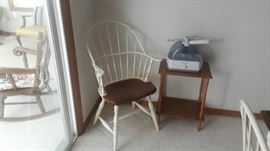 Kenmore Rotary Sewing Machine with hidden chair. Beautiful collection of baskets, including Fenton. Antique Victorian Sofa, it has been recovered. 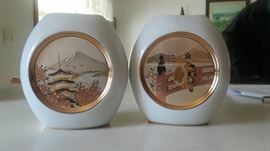 Set of 2 vintage side tables / nightstands. 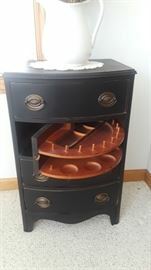 Victorian carved butler/coffee, tea table with removable tray. Beautiful inlaid design. Butler Table/ Coffe, Tea with removable tray. Vintage, Brass Various Lamp Sets. Country Flowers Pottery, Lilian Vernon. Set of 2 Queen Anne Wing Back Chairs, they have been redone.